Those who seek facial cosmetic surgeries typically have specific end results and goals in mind. All too often, patients are forced to seek revision surgeries or facial reconstructive surgery to achieve goals unmet by previous procedures. Dr. Ben Talei, a dual board certified facial plastic surgeon at the Beverly Hills Center for Plastic and Laser Surgery, is a specialist in revision surgery. These surgical procedures must begin with an in-depth consultation with Dr. Talei. He will discuss the unmet needs of the previous surgical procedures and see if the desired results are realistic and achievable. Some revision surgeries require only minor tweaks, while others require an exceptional amount of skill and precision to restore a natural, youthful look. Dr. Talei will be able to fully explain all that’s involved in the revision surgery you might need. 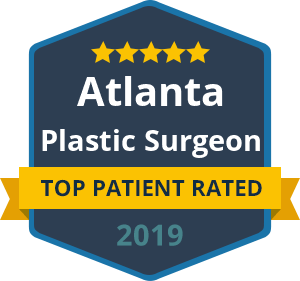 Dr. Talei has dual fellowship training in facial cosmetic and reconstructive surgery and vascular birthmarks and congenital anomalies with laser surgery. Revision surgeries are his specialty. He has an artistic eye and delicate hand in surgery, giving his patients a natural, rejuvenated appearance. Dr. Talei does not perform cookie-cutter procedures or prescribe the exact same treatments across the board. Because each individual is different, each patient’s surgical procedure should be tailored according to their specific needs and surgical goals. Contact our revision surgery specialists at the Beverly Hills Center for Plastic & Laser Surgery today to schedule a consultation with Dr. Talei. We look forward to hearing from you.